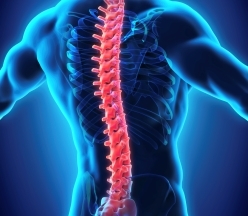 The North American vertebroplasty market, which covers Canada, Mexico, and the US, is set to see a steep decline from an estimated $72 million in 2016 to around $29.4 million by 2023, representing a negative compound annual growth rate (CAGR) of 12%, according to GlobalData, a recognized leader in providing business information and analytics. The company’s latest report states that vertebroplasty was developed as a minimally invasive procedure that can be performed in an outpatient setting for the treatment of problematic spinal fractures. Adoption of the technique is highly variable as conclusive evidence demonstrating the procedure’s efficacy is not available. For this reason, many developed nations are experiencing declining rates of adoption in favor of the more innovative kyphoplasty procedure. In contrast, usage of vertebroplasty in many developing markets is projected to increase through the forecast period due to its cheaper price tag. As explored in GlobalData’s report focusing on vertebroplasty in the Middle East and Africa, which covers Egypt, Israel, Saudi Arabia, South Africa, and the United Arab Emirates, market value in this region is set to rise from $4.1 million in 2016 to around $6.5 million by 2023, at a CAGR of 6.8%. The market for vertebral compression fracture (VCF) repair products, including vertebroplasty kits, is a highly consolidated market. Three orthopedic conglomerates – DePuy Synthes, Medtronic, and Stryker – dominated the global market in 2016, together holding almost 80% of the market share. – Information based on GlobalData’s report: MediPoint: Vertebroplasty Devices – North America Analysis and Market Forecasts.